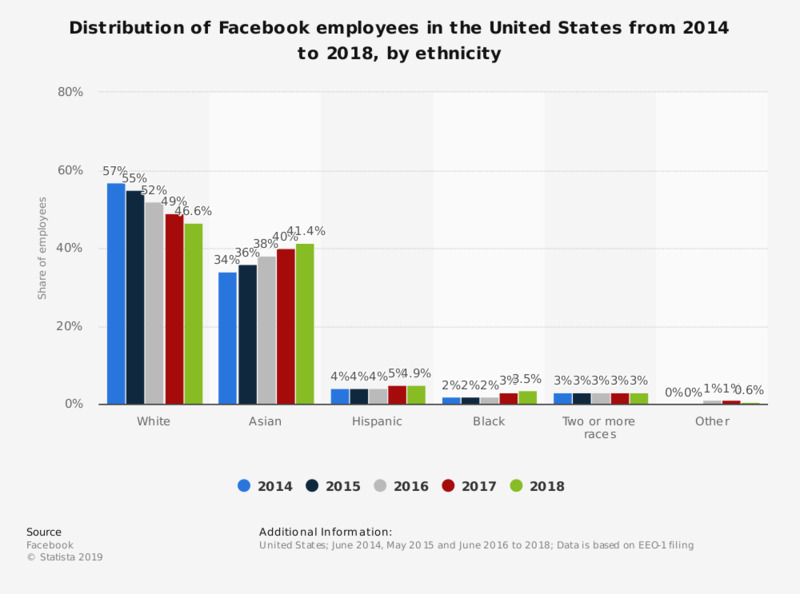 This statistic illustrates the distribution of Facebook employees in the United States from 2014 to 2018, sorted by ethnicity. In the most recent measured year, 4.9 percent of U.S. Facebook employees were of Hispanic ethnicity. The majority of employees were white. As of 2017, the number of Facebook employees had reached 25,105 full-time staff.